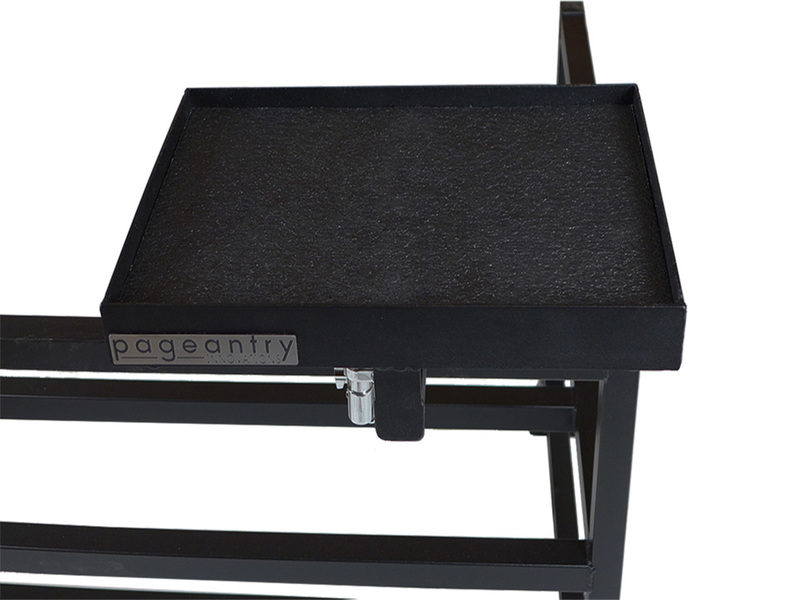 The Mini Tray Table give you 12” x 18” of usable shelf space. 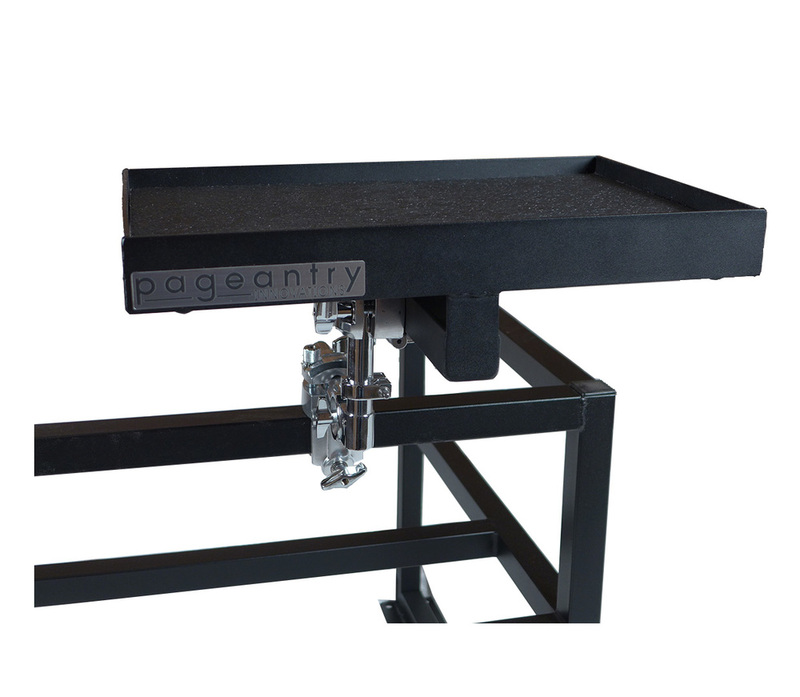 A high density foam inlay is installed in all tray tables giving you a safe, quite place to store your accessories or mallets. Pre-drilled mounting holes on the bottom rail of the tray table allow you to set up your table exactly where you need it.